Querent is a tabletop roleplaying game that uses tarot cards to create a narrative-driven and personal experience. Querent is a new take on tabletop roleplaying games. What if character, world, and campaign creation could be easier? With tarot cards, we can create a system that randomizes world, character, and campaign creation, yet makes every element feel “fated”. Instead of using dice, formulas, and pre-created campaigns, our game allows the player to generate unique and rich experiences by using tarot cards. It combines the personal experience of a tarot reading with the adventures of a roleplaying game. This makes the game more narrative-driven instead of statistic-driven. All you need is our guidebook, The Cartomancer’s Tome, and any deck of tarot cards to play. Tarot is a lot more personal than numbers, and every card allows for a variety of interpretations. Our goal is to combine the structure of “spreads" with the structure of a roleplaying game. Spreads are a method in which tarot card readers physically lay out cards on the table and interprets what the cards mean. Interpreting spreads provides the basis for all elements of this game. The more a person plays, the more they learn about the potential meanings of tarot cards, which means less referencing the book and more time playing! For those more experienced with tarot, players can also bring in their own spreads to enhance the game and generate fun. 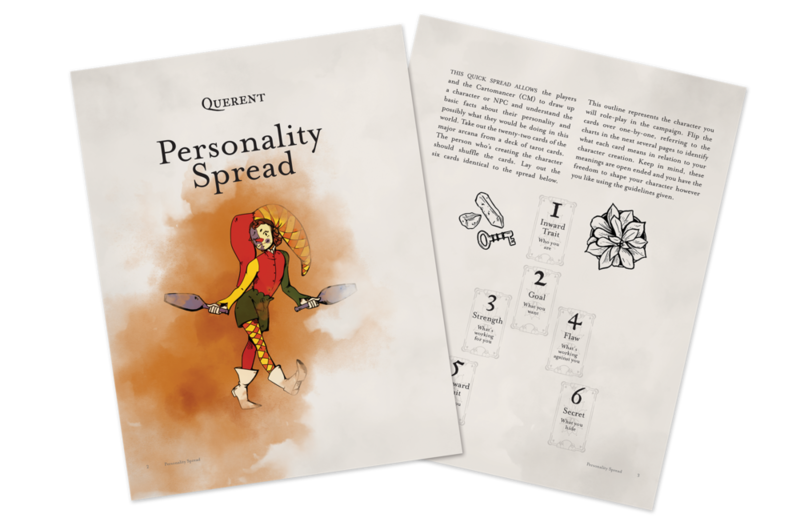 We talk with author Rachel Brune who plans to use Querent’s Personality Spread to make a character. To learn more about the team and our early stages in development, check out the interview here! We chat with Ray, who manages [insert quest here], an Australian based podcast for tabletop and other games. In this interview, we talk about the different ways Querent can be used. Give it a listen here! We had an extremely successful Kickstarter campaign back in October. With the help of 353 backers, we exceeded our goal by 820%! To view our campaign, check our our Kickstarter page. Rad Magpie is a non-profit organization who’s mission is to support underrepresented creators. We were a part of their Rad Studio in summer of 2018 and were given the space to create and the support to pursue our project. 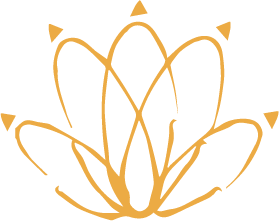 To learn more about Rad Magpie, visit their website!